Commissioner Edwin Reyes will host his third annual Veterans Job and Benefits Fair on Saturday, Nov. 12 at Logandale and Avondale School gym, 3212 W. George St, from 10am to 2pm. Norwegian American Hospital will provide the Caravan Unit, which will provide free pediatric care for kids. Job fair will offer a variety of services from local to federal governments. 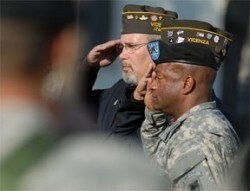 Service providers and employers will be available to speak with the veterans. Remember to bring your resumes and your DD 214 or military/veteran I.D. For more information, call 773-588-1129 or 312-603-6386.